This Kurzweil Artis review will take us through this powerful digital piano, yet encompassed by simplicity and ease of use. The Artis is a performance keyboard that is well constructed and comes with everything a pianist needs. Without further ado, let us jump right in and take a closer look at what there is to this piano. The Kurzweil Artis will take your performance into another level with its advanced features discussed below. The Artis uses the weighted Fatar TP-100. This means that the keyboard comes with 88 note fully weighted hammer-action with velocity sensitive keys. This action responds to the strength at which the keys are hit and then reacts with great responsiveness. The Artis’ controls were designed with the player’s convenience in mind to handle all the features and functions. The piano’s program navigation is done using a large dial and Previous / Next buttons. Each of these two have 16 separate Program buttons that double serve as alphanumeric keyboard. 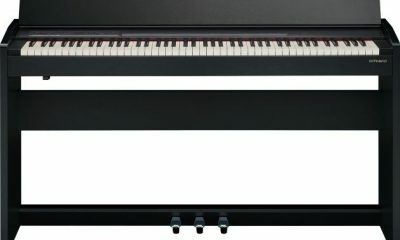 Additionally, the Artis features nine draw-bar sliders with an addition of five assignable performance control buttons. These enable the player real-time control of the piano’s useful parameters depending on each program. Other controls include the 3-Band Master EQ, Multis , Instant Transpose Buttons, Sound/Favorites selection and many more. The Artis is known as one of the best digital pianos to produce impeccable sound in the digital piano world. It comes with a sound chip loaded with sounds selected from the PC3K, the Kore64 and the KB3 organ engine. The piano also has 256 preset factory programs to give you a full and rich sound. One thing to take note of, however, the Artis being a stage piano does not come with built-in speakers. It is then recommended to get a high-quality speaker or headphones for your performances. Dynamically allocated polyphony means you can play complex pieces without having notes drop off on reaching maximum polyphony. In addition, the Artis has the ability to select the voices to drop in favor of new voices. This will ultimately give you seamless and natural performances even when using a lot of sound effects or complex sounds. The instrument has two foot-switch jacks in the rear panel. These take convectional pedals or TRS pedals that support half-damper action or dual pedals. There is also another separate jack for the continuous control pedal. In addition, there are USB jacks for the PC and smartphones connectivity or a thumb drive for storage of data. A 1/8″ stereo input is used for linking music playback devices to the output. Finally, you will find a headphone jack around the front below the mod wheels and the pitch. The KURZWEIL ARTIS 88-key digital piano is a true gem. It comes loaded with great features that any piano player will truly love. This instrument is user-friendly, and also has a powerful sound engine, great build and also great performance oriented control. If this are qualities you desire in adigital piano, this might just be the piano for you. We hope this Kurzweil Artis review was helpful to you. Please do share with us what you think about this digital piano in the comments below.